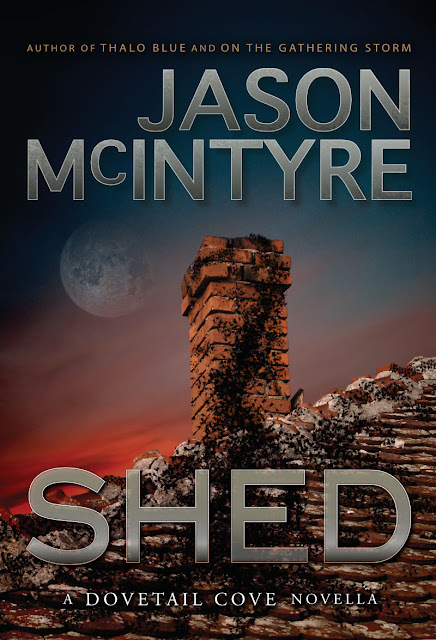 SHED gets a new cover! My second-released title, SHED, gets a new paint job today. 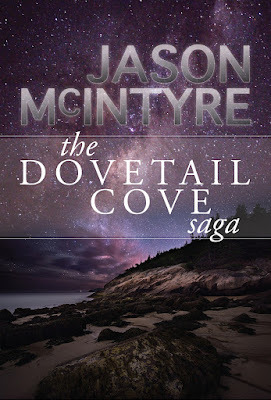 I'm really pumping hard to get several Dovetail Cove titles out and they are all looking fresh and new so I thought it was time to give this book--which is a favourite of many readers--a slicker, newer look. It nicely matches the style of the rest now. SHED was first released in 2010 and tells the story of Simon and Rupert Ketwood, who are trapped in a lonely life north of the island town of Dovetail Cove. They're poor, but they don't want for anything...so they don't really know they are, until they see the other kids in school with new shoes and new bikes. Simon and Rupe are content to play out in the back field between their own yard and the old power station, but at night, a visitor comes for them. Between this and dealing with their Mama's new husband, life is getting hard for these two young boys. But their existence is not all horror. 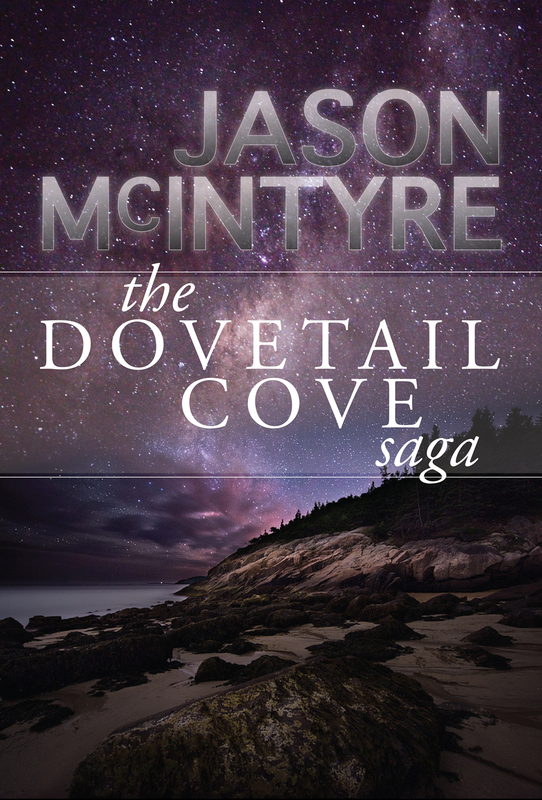 There is beauty in Dovetail Cove for the boys too. 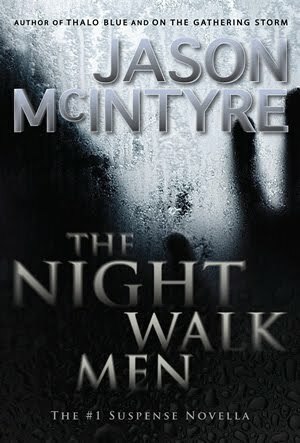 Set in 1977 in the world of Dovetail Cove, this novella is one of faith, brotherhood and courage. Grab a copy and learn what the bond of brotherly love means for Simon and Rupert. It kind of *looks* like I've been on a tear lately. Over the last two and a half years, I've been working hard on completing a major project I set out with. And I set out on the journey almost two decades ago. That journey (though it wasn't called this in the beginning) is Dovetail Cove. This epic encompasses ten different titles. Yep, ten. Each book or novella has its own central characters, its own central story. But it flows with the rest. Background characters step forward and recede. The whole thing is building to a major conclusion...and it all takes place on the same little island near the tiny town of Dovetail Cove. It's a fictional place, but I'll bet you recognize it. In many ways, it's a lot like your own neighbourhood. So the tear I speak of really has to do with my release schedule over the last few months. I wrote the books completely out of chronological order because, as author Darcia Helle says, I'm devious. It mostly has to do with how the stories came to me. I didn't want to force them or rush them. Each one, I decided, needed to stand on its own. 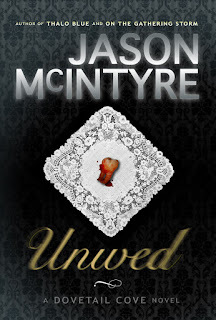 Once I was pleased with how each one read and how each one 'dovetailed' together with the other nine, it became a matter of final edits, final approvals from my trusty beta-reading community, and final designs for artwork and interiors for each title. Then, I started tearing off and releasing them with a rather aggressive schedule. Now, it's confusing, I admit. 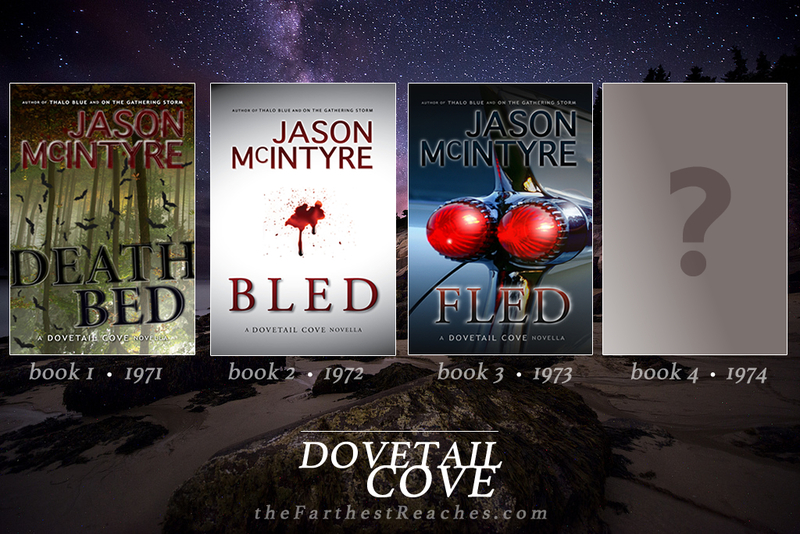 But I'm trying to mitigate some of that confusion by now releasing the remaining books in chronological order so that readers can jump in to Dovetail Cove and splash around with them -- in order if they want. That's the tear I speak of. ZED (1975) was re-released in October. The 'why' of that one coming first is bit of a complicated tale involving publishers folding, evil corporations, and plucky heroes...but the bottom line is that this release of ZED started the tear. December saw DEATHBED (1971) and that's the *very first* book in chronological order. 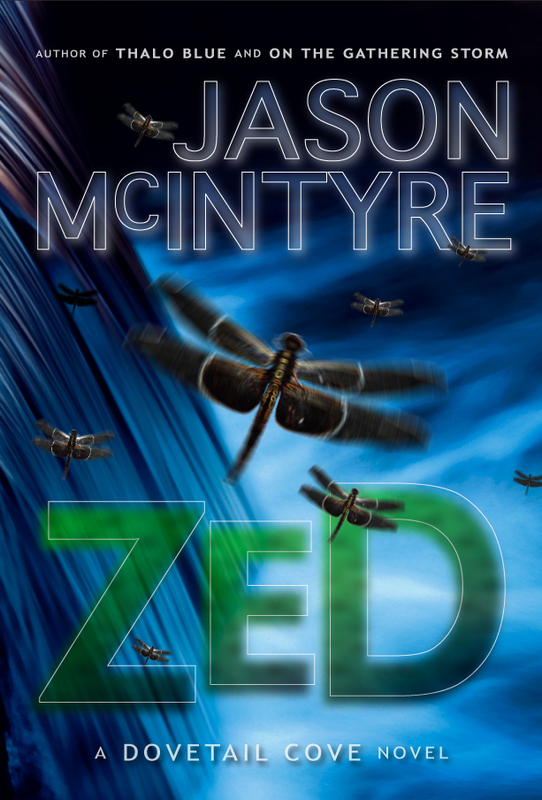 January was all about FLED (1973) and today, I'm pleased to announce the title of book 4 (1974). It arrives on web store shelves next week. This completes the chronology of the first five titles. There are more, but the first five represent an unbroken chronology for you sticklers. + CLICK OR SELECT FOR LARGER VERSION! 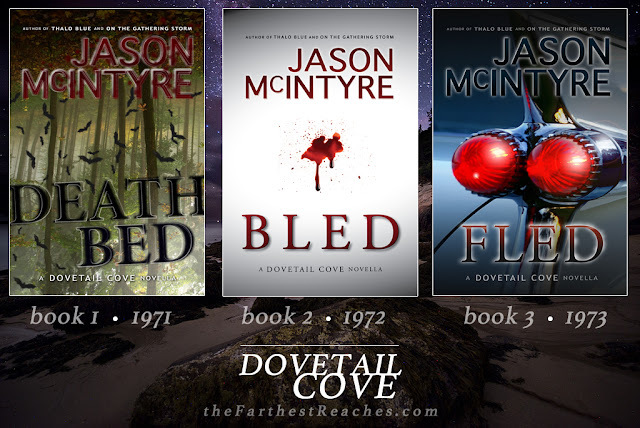 Dovetail Cove has its first three books released and available. 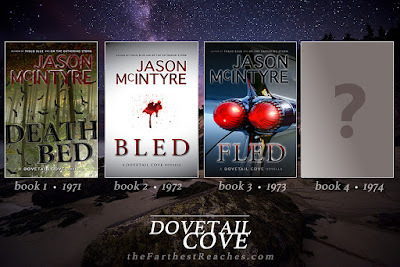 For those sticklers among you who love a good story but also want to read them in chronological order, the first three of the DC series are available at all major online outlets. Now remember, kids, these truly can be read in an order. You can read one book and stop because you'll get a whole story. But I wouldn't recommend that; with each new title, the mystery of the island grows and grows. 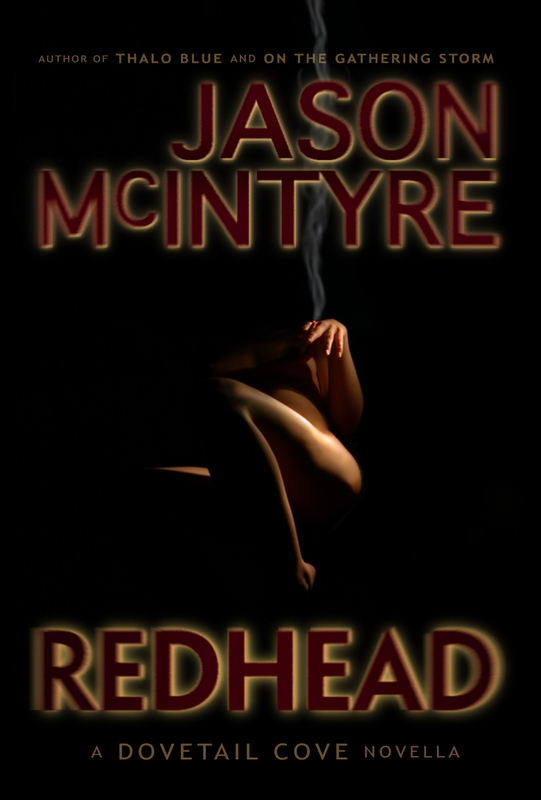 Each story has characters and subplots that do indeed dovetail with one another. And, look out! February brings the promise of Book 4 which takes place in 1974. Each book in the series follows its own main character and main story. They can be enjoyed and understood utterly independent from the others. The books from 1975, 1977 and 1978 are also available at present. You can wait until the other books are released to bridge the chronological gaps or just jump in with any title that looks most interesting to you. This week at the Reaches, I have the distinct honour of sharing the stage with friend and fellow author, Tom Barczak. His new heroic fantasy drops in early February and he's here to talk about it and more. Over to you, Tom! My name is Thomas Barczak. I am an artist, architect, and a writer finally telling those stories I’ve always dreamed about. 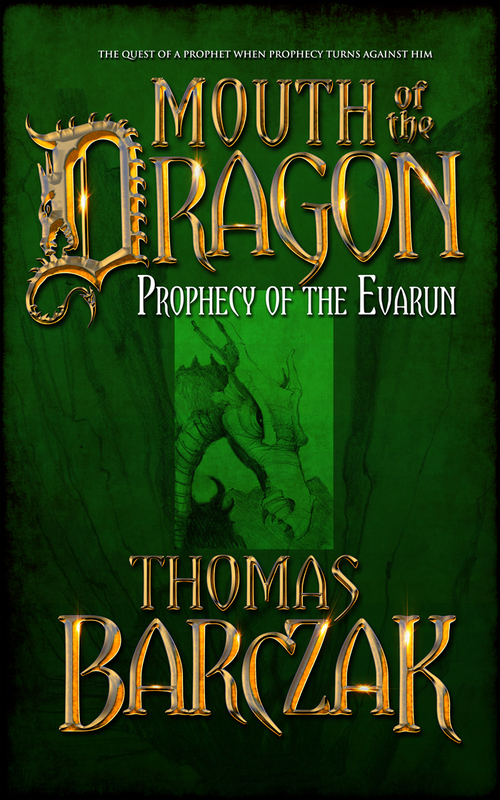 My new novel, Mouth of the Dragon, Prophecy of the Evarun, published by Perseid Press, is scheduled for release in Trade Paperback and Kindle on February 10th, 2017. 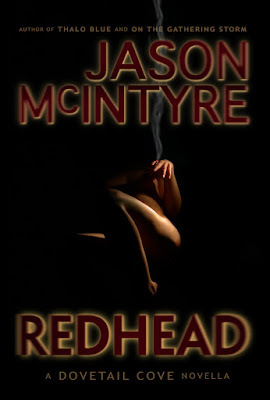 Kindle Pre-Order is now available. My work also includes the illustrated epic fantasy novel, Veil of the Dragon, and the Kindle serial, Awakening Evarun (Parts I-VI), both set in the Evarun universe. I’ve also written a bit of a campy serial for Kindle called Wolfbane (Parts 1-2 of 3). My short fiction includes contributions to Heroika 1 - Dragon Eaters, Nine Heroes, Terror by Gaslight, and What Scares the Boogeyman, as well as stories for two volumes Janet Morris’ award winning Heroes in Hell series, Dreamers in Hell, and Poets in Hell. I write because I must. I write because I need to tell others the stories I’ve held so long inside myself, stories that inspire my paintings and my poetry — stories that have always been with me, ever since I was sitting at a table with friends, slaying dragons. My new novel, Mouth of the Dragon, is dark, epic, and redemptive fantasy challenging everything a hero’s journey can be. Chaelus, once Roan lord of the House of Malius, now vessel of the Giver reborn, has defeated the Dragon of legend. Now he must rescue his brother and his kingdom, both beyond the Dragon’s Veil. 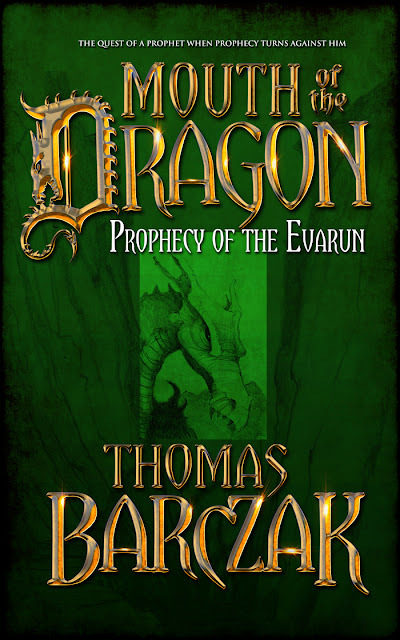 When the legendary dragon resurges among drums of war, it threatens Chaelus, the human vessel of prophecy who once defeated it, and those loyalists the man holds dear.Now Chaelus must confront the Dragon a second time, as prophecy has foretold. With his remaining followers he pursues the Dragon. 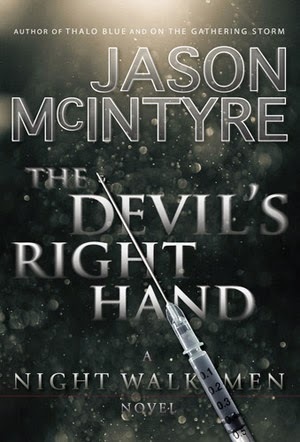 When he finds it, he finds that the blood of his past has returned to reclaim him. And even with the power of prophecy at his summons he cannot defend against it. Tempted to save all he’s lost, abandoned by the prophecy he’s vowed to serve, he falls under the spell of the Dragon, and learns that the dragon you hunt is the dragon within you. Chaelus must defeat the dragon for all time, but finds he cannot, until he first surrenders himself. As for me, and how do I write? It’s really simple. You eliminate the reasons not to. For myself, raising my sons, growing in a career as an architect, along with a multitude of other commitments, both personal and spiritual, there isn’t a lot of extra time. It is rare and far between that I will ever have even a few hours just sitting around, waiting to be earmarked for writing. Some people do. I do not. So that was the first excuse I had to get rid of. 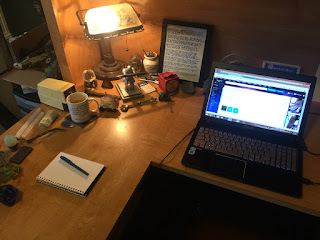 That oft touted idea that If I’m serious about being a writer, I have to have to sit at a certain space, at a certain time, several hours, every day, in order to be successful. Ain’t. Going. To. Happen. So what did I do? I learned to write 15 minutes at a time. I learned it was ok to bounce around within my storyline. 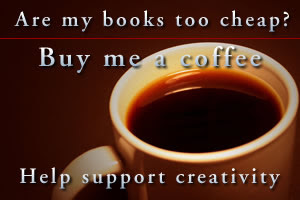 I learned it was ok to drop what I was doing and write any time my Muse came to me. In fact, I depend on that. You do have to be consistent though, and the end result does have to make sense. But how I get there, I learned that’s up to me. I learned I didn’t have to write so linearly. I learned I could be consistent without being so rigid. 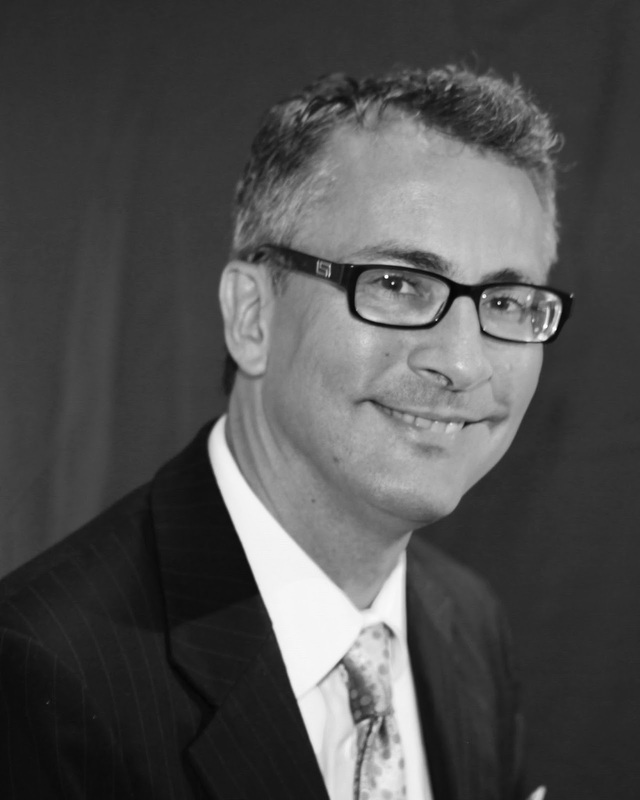 I learned I could write and be successful in a way that worked for me. What I found as well, once I got rid of that excuse, was that it helped me to get rid of another. Writer’s Block. When you’re writing multiple story lines at once, it becomes fairly simple to bounce around. When you get stuck on one storyline, you just bounce to another. That freed me up both creatively and productively. There’s another one, and for me, one of the hardest. I think that most writers suffer from it. Some just learn to manage it better than others. That I’m not a good writer. The great truth in dispelling that one is that it’s completely irrelevant. Writers write. Period. One of the first things I tell people who want to write is that you have to be willing to write bad. When you’re ok with that, everything else is downhill, because, you know what? You get better with every word. That’s how we learn, by making mistakes, by listening to and accepting criticism. Writing is no different and I really don’t know why we think it should be. Oh yeah, it’s because we’re impatient, at least in part, at least I know I am. So really, It’s just a numbers game. The only person that can take you out of it is you. If you work hard, and you don’t quit, you will succeed. You can’t not. You have no excuse.